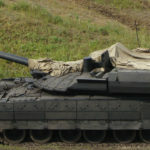 The Patria AMV35 is a hybrid vehicle consisting of “off the shelve components”, namely the Patria AMV 8×8 hull and BAE Systems-Hägglunds CV9035 Turret. 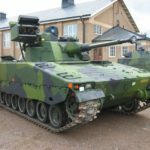 On the 28th of July 2016, BAE Systems-Hägglunds announced that the AMV35 is 1 of 2 vehicles selected to take part in the 12-month Risk Mitigation Activity for the Australian Army’s Land 400 Phase 2 combat reconnaissance vehicle program. 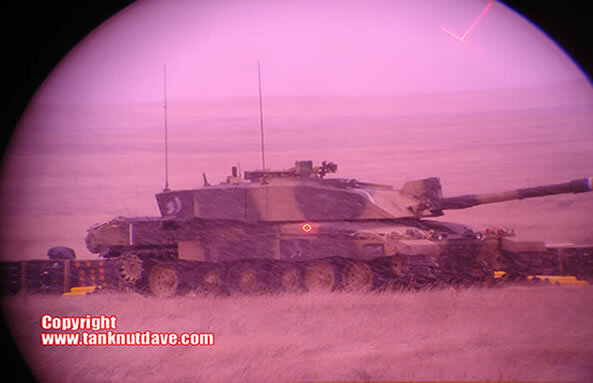 Land 400 is a program being run by the Australian Army that is not only seeking the replacement of current fighting vehicles in service, but to offer vehicles with improved firepower, protection, mobility and communication characteristics. 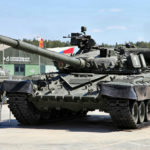 Phase 2 concentrates on a replacement for the ageing ASLAV. 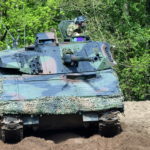 Initially operated by the 2nd Cavalry Regiment and 2/14 Light Horse Regiment, the ASLAV is based on the LAV-25 (LAV II) by GDLS Canada and has been in service with the RAAC since 1995, predominantly in the reconnaissance role. 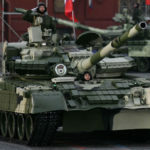 The highest priority for Army is to replace the ASLAV fleet due to obsolescence factors that restrict its deployment and increase the cost of ownership. 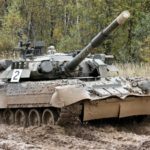 These obsolescence factors cannot be mitigated through an upgrade and without a replacement by 2020, the Army will have a capability gap. In 2015 the “request for Tender” was released by the Australian Ministry Of Defence for Phase 2. 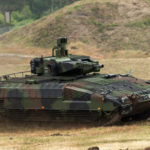 Several defence companies submitted their vehicles for consideration but in July 2016, the AMV35 and Rheinmetall’s/KMV enhanced BOXER were selected as the 2 vehicles to take part in the 12-month Risk Mitigation Activity. 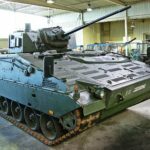 BAE Systems (BAE Systems Australia) has an established relationship in providing Fighting Vehicles for the Australian Army, namely the M113AS4 fleet upgrade. 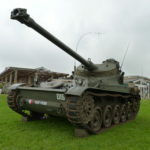 One of the requirements for Phase 2 was “off the shelve” products, meaning existing vehicles in service with other countries to reduce the vehicles operational costs and an availability of parts. 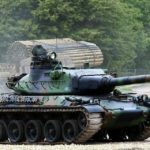 Phase 3 sets the requirement for a tracked Infantry Fighting Vehicle. 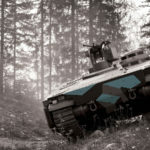 BAE Systems have offered their tracked IFV, the Combat Vehicle 90 (model CV9035) which is in service with 7 countries, 3 of which operate the CV9035. 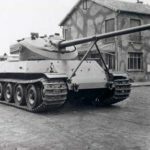 The AMV35 also uses the exact same turret (E35) as the CV9035. 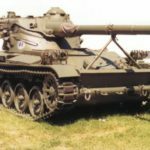 The E35 turret features a digital architecture and a 35mm chain gun, which offers greater leathilty than the ASLAV’s ageing 25mm M242. 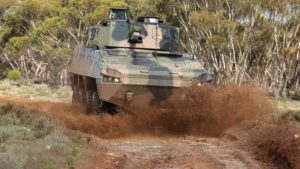 Selecting the AMV35 and CV9035 for both Phases of Land 400, will offer the Australian Army potential savings in operating costs and training, as well as both vehicles price tag. 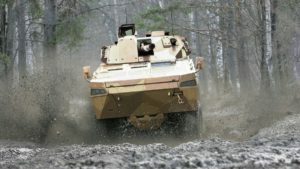 The Patria AMV is the most successful modular 8×8 fighting vehicle in Europe. 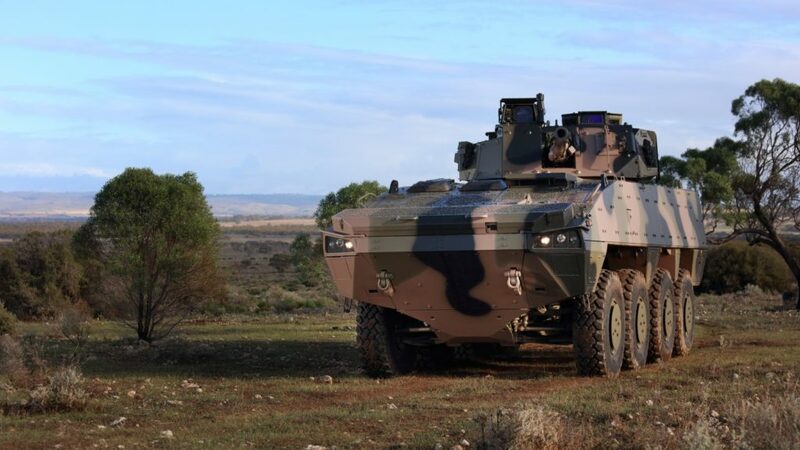 In service with 7 countries and licence produced in 3, it exceeds the Australian Armies criteria in mobility, modular protection and “off the shelve” components. 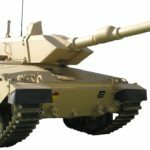 If the eventual winner of phase 2, the AMV35 will see Patria move into the Pacific market. 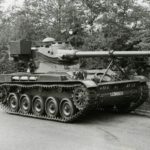 The Patria AMV has already been developed into a family of variants, including Armored Recovery, Combat Engineer, 120mm smoothbore Fire Support, Medical Evacuation, Command & Control, turreted Mortar (NEMO & AMOS) ATGM Tank Destroyer and APC. The Patria AMV can be be fitted with different Scania Diesel engines. The AMV has been developed into more specialist versions, the AMV XP with an increased payload capacity and the AMV28A which features a new, stronger amphibious capability.